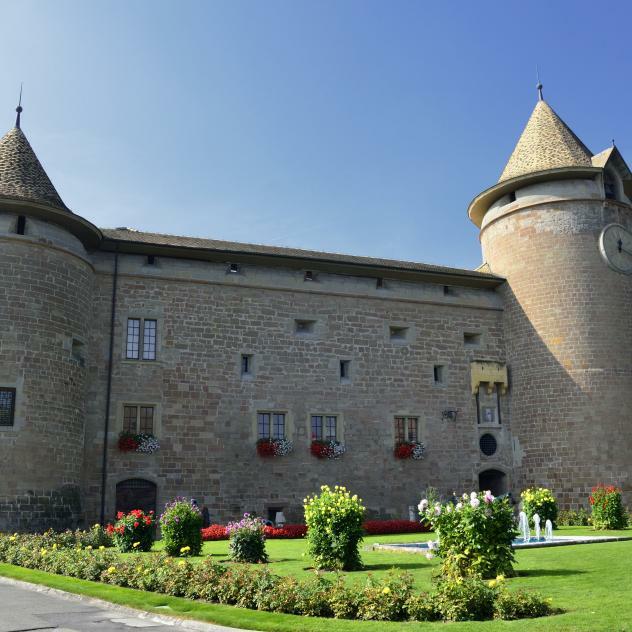 Completely renovated in 2005-2006, the Musée Alexis Forel is located in the 11 rooms of a remarkable building, representative of late Gothic style in Morges. The museum’s varied permanent collection includes prints and engravings bequeathed by Alexis Forel, Russian icons and works by Morges painters. Visiting children and their attentive parents particularly appreciate the collection of over 150 dolls, a collection of old toys belonging to René Morax, a local man of the theatre, as well as the “Boîtes à rêves de Marie d'ailleurs” (Marie’s Box of Dreams), created by Madeleine Schlumberger, her real name, containing miniature worlds reflecting her dreams. A collection of decorative arts, furniture, glassware, porcelain and tapestries from the Middle Ages to the 19th century completes the permanent section. Once or twice a year, the Musée Alexis Forel organises temporary exhibitions often linked to artistic life in Morges. Exhibition dates subject to change. Switzerland in the movies - When Heidi and James Bond meet in Morges.